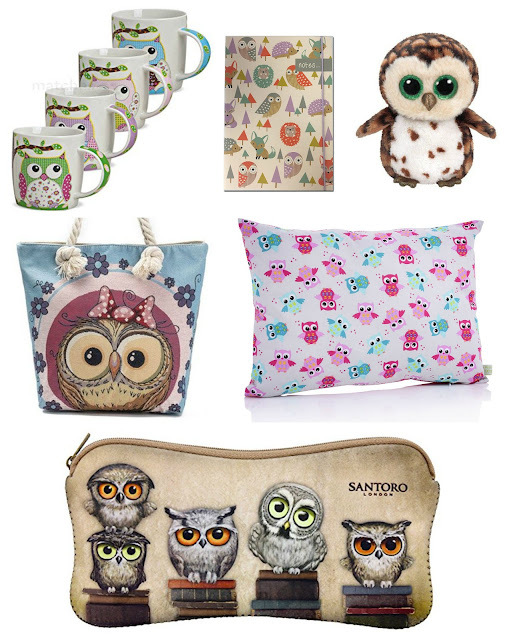 Enter this giveaway for a chance to win an owl mug set, notebook, pillow, plush, tote bag and pouch. Good luck! I like it when they are given human traits, emotions or intentions such as the rabbits in Watership Down. Love the connection between the animal and character. Enjoy discovering the special bond between them. "What do you like the most about stories about animals and why?" You know me so well--I've had a lifelong love of "Babar" books because they are so well illustrated and charming! I love reading about animals in books because they often have traits that we can relate to and admire. I love the unconditional love between characters and their pets. I like when the animals have actual roles in the story. And its fun when you get to read what they are thinking too. I love reading about the love and connections between people and their pets! I love reading about how you can always count on their unconditional, and unfailing love! In a world where our partners seem to lack that quality it is comforting. They are always so heart warming! The love of animals in books started from childhood. A lot of the character's you read about are depicted as animals. Now relationships between pets and owners are fascinating, plus i love all animals, unlike some humans. Lovely collection of owl items! Stories involving animals are often very funny. I love Gerald Durrell's books. I think my grandparents had something to do with, as they lived in the countryside with a riding stables 10 minutes walk down the road and of course we used to go and see the horses. Plus we always had a dog, and various hamssters (one who came for a 2 week holiday and then stayed for another 4 years before sadly leaving us one night). So it's just an extension of that, really. Still like reading the "children's/YA" ones where the animals talk and go off on adventures, but then love the adult ones, even though some might make me cry. I love that they give an insight into an animals mind and how they might think. It's usually the loyalty of animals that I love the most. Unlike humans, who can come and go, animals give their love and loyalty forever. There are some wonderful stories of how their loyalty saved lives. This is such a cute giveaway. Books about animals have that extra something that I love so much. I love animals and love to learn about them through stories and non-fiction texts. My favorite animal story is about a woman that can understand her dogs thoughts. After an accident were she loses her sight, she is able to have intelligent conversations with her new seeing eye dog. It's a fun and entertaining story. I love books with animals in them, mostly because I love animals. I’m a dog person so the dog ones always get me. I’m not as fond of cats but give me a good witch story with a feline companion and I’m hooked! I think what makes stories about animals so awesome is their love is unconditional, they're always loyal and their bond is always strong. I love reading books about animals, animals are my favorite things even above people. So reading about them is just so interesting. 8 Feb tweet entry should be https://twitter.com/MoonValleyRose/status/961418506792308736 !! Animals bring another dimension to a tale and make it come to life! I like to imagine how they look because I am an animal lover. I accidentally put an author giveaway in the With Love for Books giveaway widget, I meant to put the "Books of choice worth $50" giveaway. Because their love is unconditional, with animals you've got a friend for life. I love the aspect of nature animals bring in stories and how the humans interact with this aspect. I'm fascinated by stories that give animals human characteristics and visa versa or stories that bond humans and animals like Eragon, HP,Narnia . Not sure, but if there's an animal in the story, especially cat or dog, I feel more like home with the story. Like, that aspect wakes some kind of emotions that remind me at home. I am a cat person irl, but I'm a dog person when it comes to books. animals are non judging and full of love, they are just fantastic creatures especially when interacting with humans! I like how they can understand so much that we miss. Dog, because it is the best man's friend. They are cute and funny. I love to be able to feel or understand their feelings. I enjoy stories about animals because I love animals and how we are so connected to them! I like the connection that is shared between humans and animals. The connection a dog and human has, the loyalty and compassion a dog has. Mine always make me smile regardless of my day. I love stories about animals bringing meaning into someone's life like following a tragedy these stories always make me smile. Merci pour cet adorable concours !!! Lori N. I love to read animal stories... we are all animals, and we are all connected to nature! The emotions they can generate - I get really weepy hearing about animals in trouble! I get extremely involved in a story about animals I just love them. I love stories told from the animals perspective, like Pax. I love having their point of view, even if it is non-realistic, because, let's admite it, who has not wonder what a given animal (especially our own pets) was thinking? Stories about animals that can talk especially fascinate me. When I was young my favourites were Enid Blyton's Brer Rabbit books. As to why, that is a very difficult question. Of course I love animals and I am always a fan of the underdog so with the Brer Rabbit stories it was always good to know that the rabbit out smarted the fox and wolf etc. I like fable, when it comes to story about animal. It's simply fascinating, to imagine the anthropomorphized characters of animals can be. Certain animal fits best to a certain character. I like stories with animals to hear their point of view and to learn a little about them. I love pretending that perhaps that's really what the animals are thinking or feeling or even doing. What adventures they must have. Love their innocence and how they help the characters in an emtional level (sooth in tough situations, laugh in calm onces, etc.). I like all of the new things I learn about them! Learning is the key to life. I think animals bring out the humanity and inner child in us, I'm never very certain of people who don't like animals, yet I've never met an animal I didn't like..i bought a real birthday 🎂 cake for my 7 year old daughter's toy dog called 'Woofy' She's now 22 and studying English literature degree and has a beautiful border collie. I love reading about animals because I don't have one right now and I love to read about their adventures! Ive always had a love for animals so I love reading about there abventures and true stories about animals that have helped humans like sniffer dogs and horses in the war. I think it captures the imagination and brings out your inner child. I have always had better empathy for animals than humans in many ways - mainly because of the unconditional love you receive - which has translated into my book reading! I have always loved stories about animals and now I live a life populated with real animals (cats, dogs, birds even fish). I think there is much going on in each soul of every living thing.